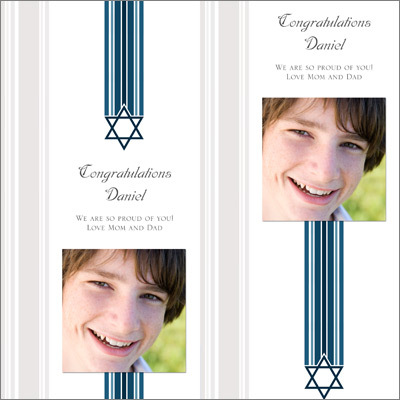 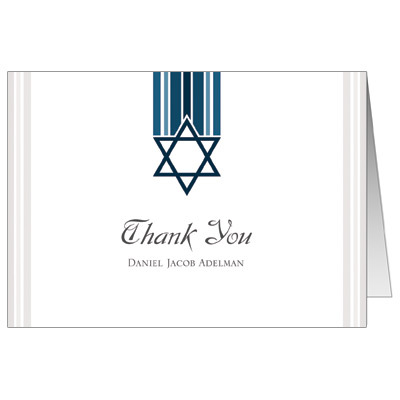 This contemporary Bar Mitzvah design allows you to play a starring role in your keepsake bookmarks. 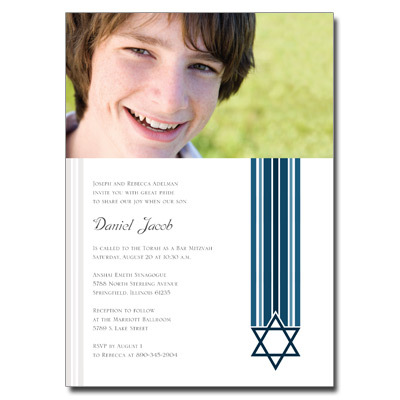 Features a Star of David beneath bands of color. 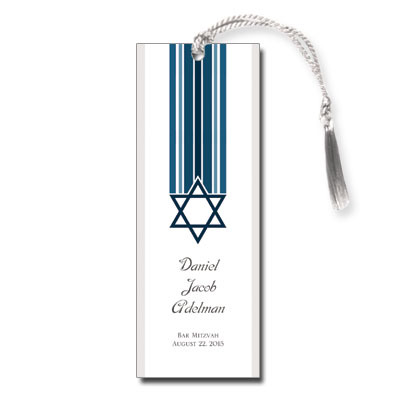 Comes with white satin tassels; assembly is required. 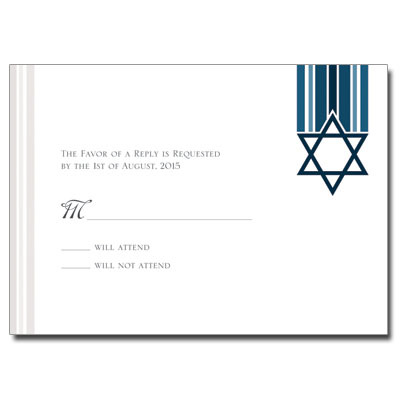 Measures 2x5.5.